Spielrein referred to moments of intimacy between herself and Jung as "poetry". Indeed, as a response to what can be considered the inevitable failure in her relationship to Jung, Spielrein wrote poetry and songs, notes, and theoretical papers. These writings are examined here as her means of finishing her own analysis. She was the first person to become an psychoanalyst through her own psychoanalysis, a path that would later be recognised as a necessary part of the training for any analyst. 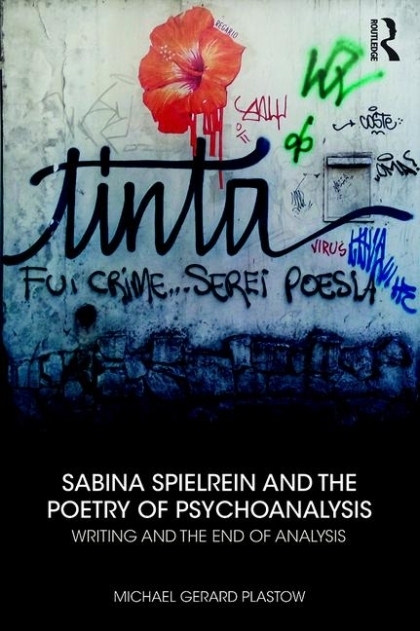 The book traces the poetry of Sabina Spielrein’s writing through both its content and style, examining the effect of these writings upon psychoanalysis and inserting them into a lineage of what Lacan would later call the passe: a device that is open for the analysand to finish his or her analysis and accede to the place of psychoanalyst. This book will be of interest to scholars and practitioners of psychoanalysis and other clinicians, including those who work with children, those interested in the early history of psychoanalysis, and those concerned with women’s writing more generally. "This is the first book to take stock of the fact that Sabina Spielrein was the first person to become an analyst as an outcome of her analysis. Drawing upon Spielrein’s writings in German, including those not yet translated, Michael Gerard Plastow shows us the importance of her love for C.G. Jung, which here is interpreted as the truth of love in the transference. Spielrein’s sensitivity to the resonances of language, to the equivocations of the signifiers, as well as to the division of the subject, are a constant in her writings. Jung, wanting to retain his place as analyst but embarrassed by his love for his patient, made the error of not recognising the subjective disparity that is characteristic of the transference, and of interpreting signifiers with meaning. On the other hand, the sublimation to which her writings bear witness, allowed Spielrein a savoir faire regarding the resistances of her analyst." --Erik Porge, psychoanalyst practicing in Paris, co-founder of the Association de Psychanalyse Encore and editor-in-chief of Essaim. Chapter 2: What really is this abominable thing called love? Chapter 6: What were the fantasms that occupied the child? Michael Gerard Plastow is a psychoanalyst (Analyst of the School, The Freudian School of Melbourne, School of Lacanian Psychoanalysis, and Analyst Member of the Association Lacanienne Internationale) practising in Melbourne, Australia. He is also a child and adolescent psychiatrist based at Alfred Child and Youth Mental Health Service. Michael convenes a seminar on The Child, the Adult, and the Subject of Psychoanalysis. He is the author of innumerable psychoanalytic papers, as well as the book What is a Child? : Childhood, Psychoanalysis, and Discourse, published by Karnac, London, 2015. His translation of Lacan’s seminar The Knowledge of the Psychoanalyst appeared in 2013 as a bilingual edition in a non-commercial publication of É ditions de l’Association Lacanienne Internationale, Paris.